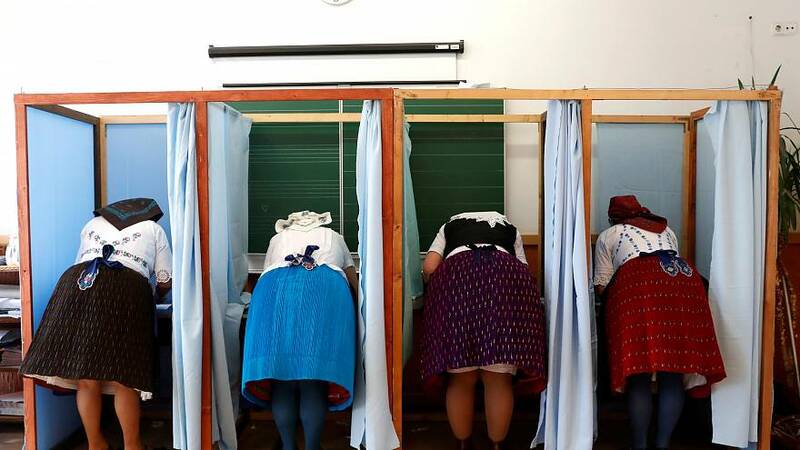 Eastern European countries have witnessed an anti-democratic backlash that has resulted in the biggest drop in democracy in almost a quarter of a decade in the region, according to a new report. The annual report by US government-funded NGO Freedom House is part of a 23-year-old project that logs democracy scores in eastern Europe and the former Soviet Union. Last year saw the democracy score drop in 19 out of 29 countries with central and eastern Europe — seeing the greatest decline fuelled by the political environment in Hungary and Poland. Hungary's score has fallen for 10 consecutive years, while Poland recorded the largest decline in a single year in the history of the project. However, all subregions, which also included the Balkans and Eurasia, saw a drop in their democracy scores. An overall downward trend has been observed over the past 13 years. The study measures democracies according to several categories, including the electoral process, national and local governance, corruption, civil society, media freedom, and an independent judiciary. It awards scores between 1 and 7, with 1 indicating the best score. Serbia's score has dropped for the fourth year in a row threatening its status as a 'semi-consolidated democracy'. The report, Nations in Transit, divides countries into five categories denoting their status as a consolidated democracy, semi-consolidated democracy, transitional government, semi-consolidated authoritarian regime, and consolidated authoritarianism. Although none of the countries were regarded to have changed status since 2016, they were dropping further down the scale. Over the last two years, the only country to have made the leap from one status to another was Kosovo, which moved up from a semi-consolidated authoritarian regime to a government in transition. Eastern Europe’s 11 EU countries and the western Balkans are only slowly catching up with the western EU 15. Convergence on GDP has slowed since the 2008 financial crisis, a new report by The Economist says. While eastern Europe saw rapid growth after 2000, particularly economies in the western Balkans have slowed considerably. Last year, Croatia was even poorer relative to the EU 15 than it was in 1989. The Czech Republic, Slovenia, Bulgaria and Romania, and especially Hungary, had modest growth in this period. The trend looks set to stay although world economies are ramping up. According to the IMF, potential growth rate in Eurozone countries, eastern Europe’s main trading partner, is 20% lower than it was pre-2008.